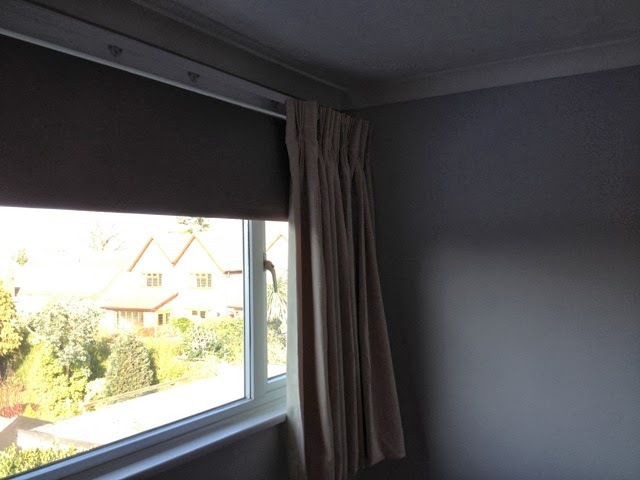 Both the electrician and the curtain fitter completed their tasks. 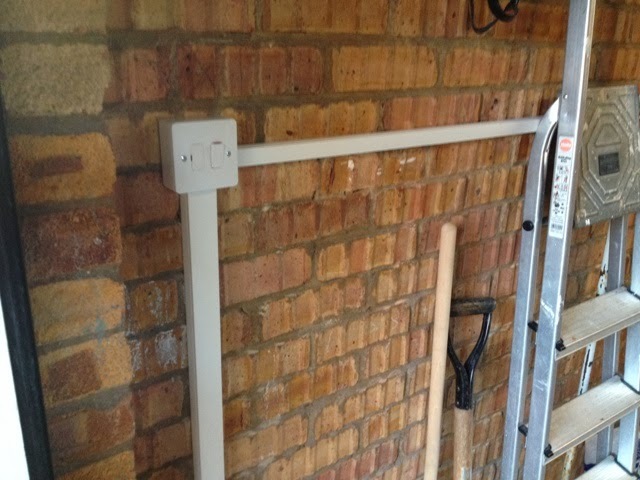 My wife was very pleased with the new blind and curtains, and I was delighted with the wiring in the garage. 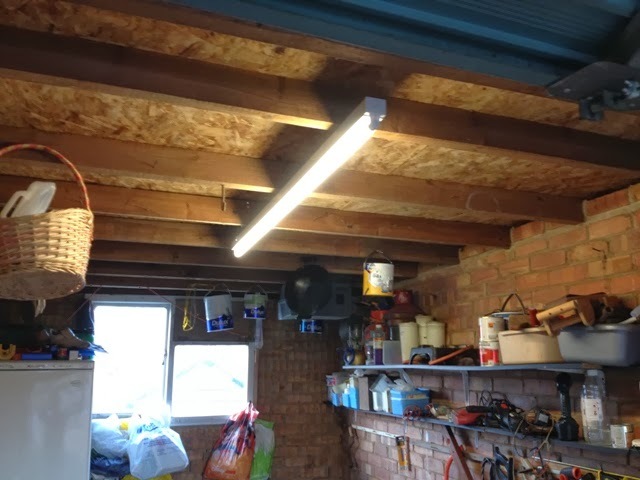 ‘Minnow’s’ boathouse has a new fluorescent light and a well-fitted power socket. I am no longer at risk of being electrocuted. The old metal conduit had rusted, and the power socket had broken away from the wall. After the carpet has been fitted tomorrow and one more coat of paint has been applied to the newly plastered bedroom wall, I should have breathing space for sorting out final bits and pieces for ‘Minnow’. I am still not 100 percent certain that I have cured her leaks, and I am wondering if I should coat the entire underwater parts with a sealant compatible with the existing epoxy based sheathing. If I were to go ahead with this precautionary procedure I would have to also apply one or more coats of antifouling to prevent weed growth. An expensive solution would be to coat the underwater parts with Coppercoat antifouling or a similar type. This would seal the hull and prevent marine growth for a number of years.